Midport Parking Structure | Cary Kopczynski & Company, Inc. 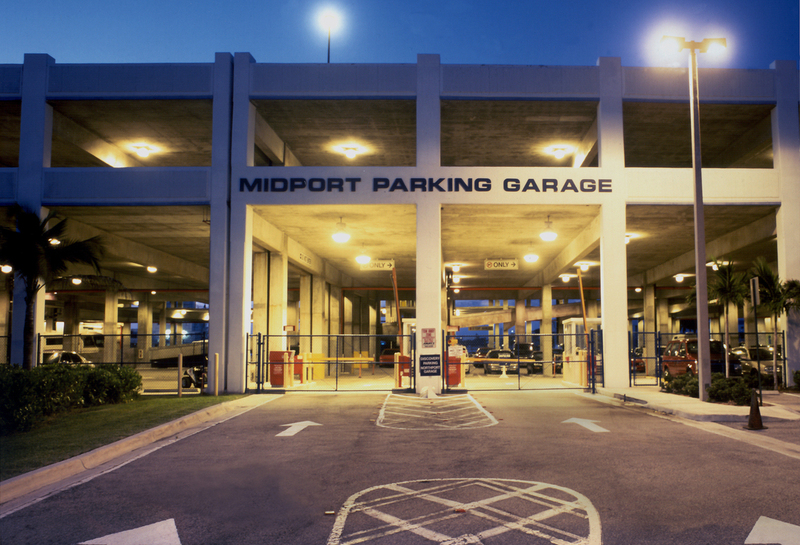 The Midport Parking Structure was constructed to serve the booming cruise ship industry in Fort Lauderdale. A key design requirement was the need to drive buses and trucks into the ground floor, necessitating a twenty-foot floor to floor height from ground to the second floor. With normal design and construction practices, this high bay would have required a very expensive reshoring system. Working closely with the contractor, CKC developed a unique solution to this problem by enhancing the strength of the second level beams through modification of the post-tensioning design. This allowed the beams to carry full construction loads from the third level and eliminated the need for all reshoring, resulting in substantial time and cost savings.